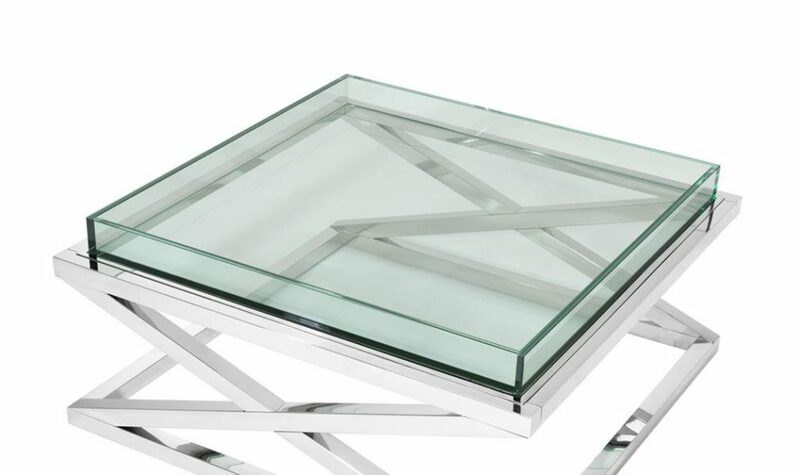 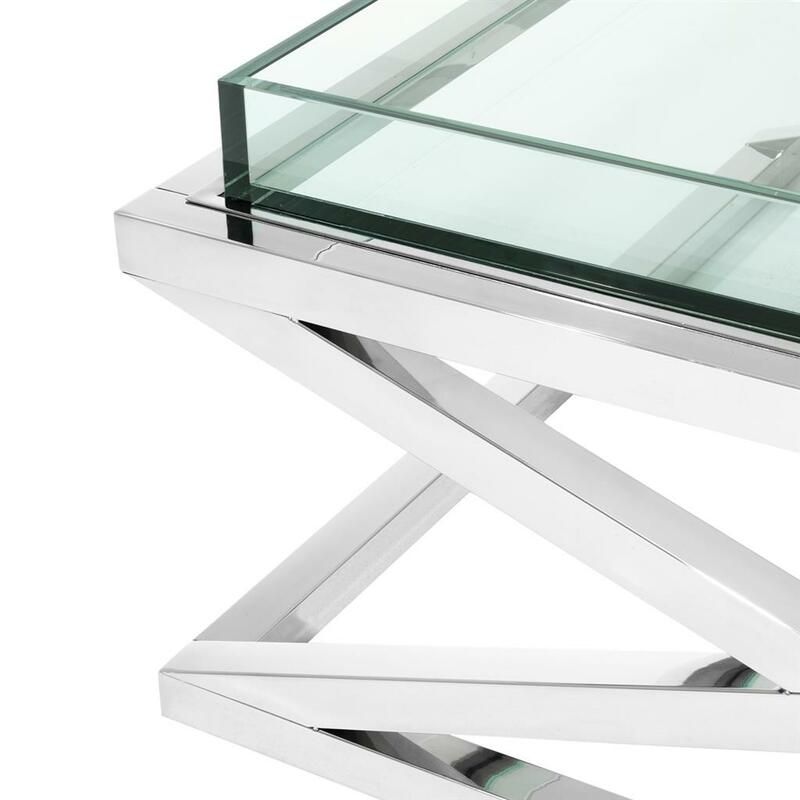 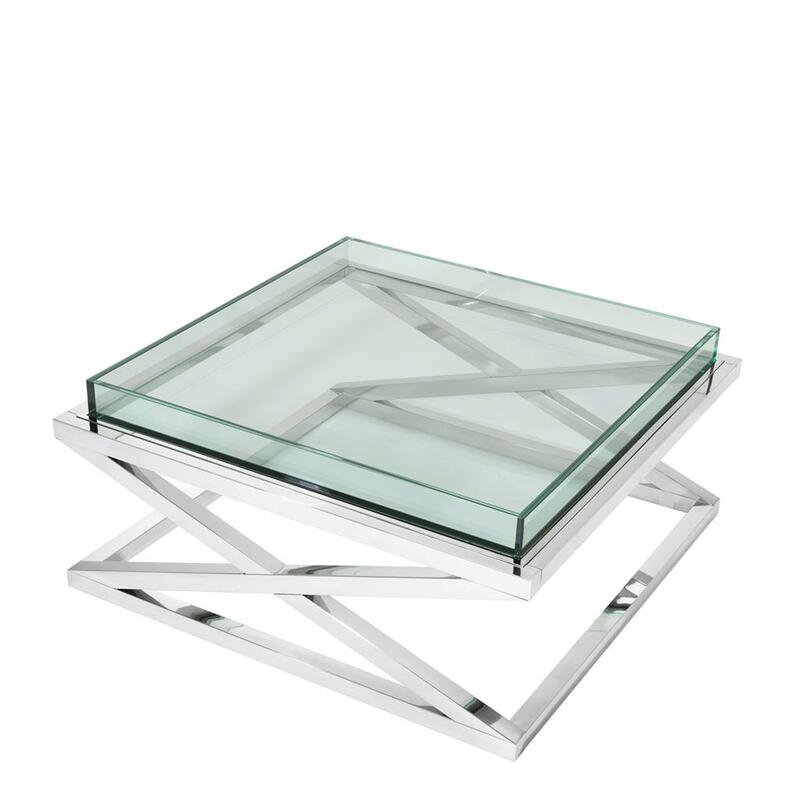 This polished stainless steel table has a removable clear glass top. 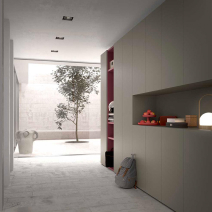 to be used as a tray or just a really stylish feature! 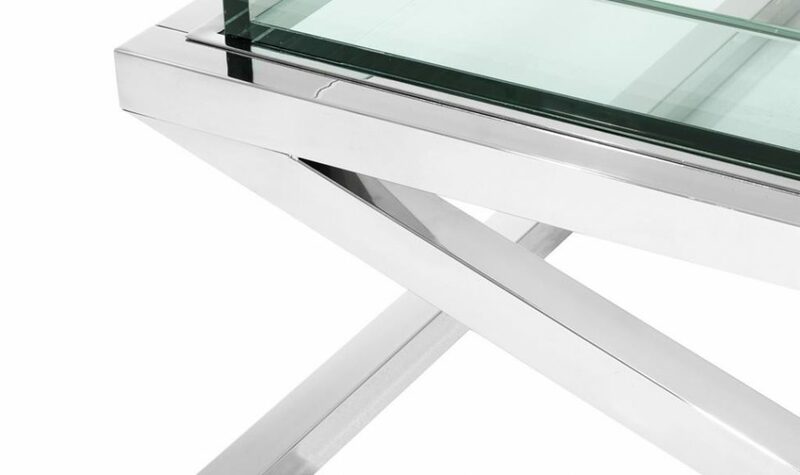 with the in trend finishes of shiny stainless steel, this designer coffee table gives a true feeling of modern day beauty. 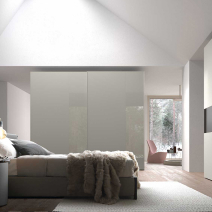 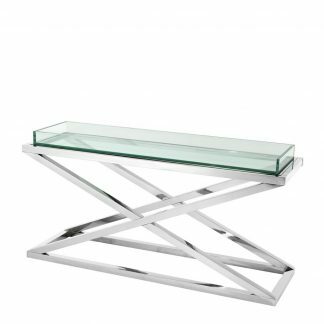 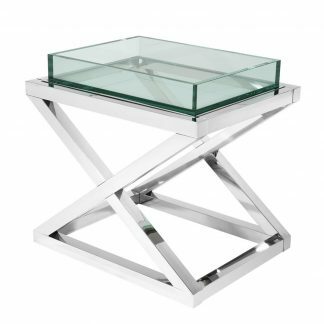 Great for entertaining, the feature cross base is welded with a polished stainless steel finish which holds a bright reflective quality. 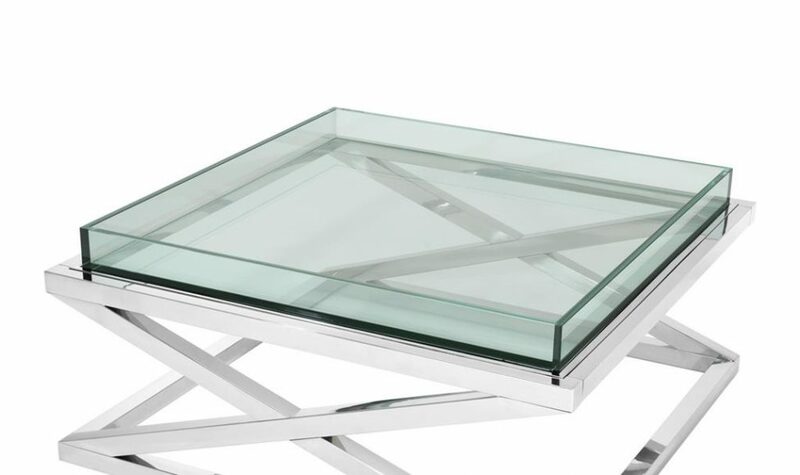 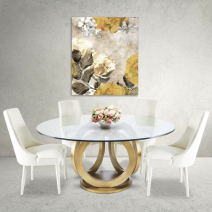 Above a tempered glass tray table top features a raised edging which allows you to build your own coffee table top curation without items from slipping off the edge.